If you’re single and planning a golf trip to North Carolina you should know about the condo rentals on Sunset Beach NC that are most preferred among the single people that frequently visit the area. These vacation condo rentals are a favorite for many that visit the Sunset Beach North Carolina area, whether they’re here to play golf or not. We’re not sure if it’s the beauty of the area or the comfort found in the condos themselves, but they’re definitely worth checking out if you’re looking for a place to stay. The Colony I and II condos have a large number of one and two bedroom units and are located on the mainland close to golf courses. 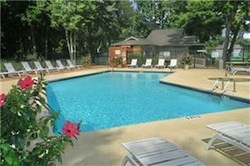 In addition, Colony II and Sandpiper Bay, can provide you with three bedroom condos. If you’re in a group coming to play some winter golf and save big during the off-season, we’re sure to have the perfect size to accommodate all of you. 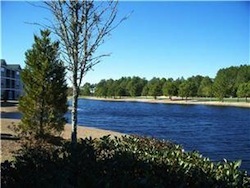 Colony II is adjacent to Oyster Bay Golf Links in Sunset Beach. The resort offers condos with private decks accessible from your living room. You’ll enjoy the community indoor and outdoor pool, exercise room, hot tub, elevator, court yard with grilling stations, picnic areas and a Whirlpool spa. Complimentary linens, towels and departure maid service take this resort over the top with their high degree of customer service. Captivatingly long and wide panoramic golf course views unfold from spectacular condos fronting miles of fairway. Sumptuous furnishings carry throughout the stunning living areas of these lavish rentals. You’re sure to appreciate the perfect blend of classic elegance and contemporary vision whether you stay in the one, two, or three bedroom units. Sandpiper Villa and Sunset Village both feature open floor plans in villas combining tranquil beauty with close proximity to the Sandpiper Bay Golf Course. Sensational outdoor entertaining areas set the stage for social gatherings of any scale with your fellow golfers. For those requiring the privacy a single bedroom rental can provide, consider Colony I with fairway villas overlooking Oyster Bay Golf Links. Some of these condos are even pet-friendly! Enjoy these non-smoking, spacious villas with a newly constructed wrap around deck accessible from the living room and master bedroom both. Fully equipped kitchens come with all the appliances you would need, right down to the coffee pot! You can’t go wrong when you choose from this selection of vacation condo rentals. Come to play golf and go home rejuvenated and recharged. That’s what many people say about their vacation to this area.